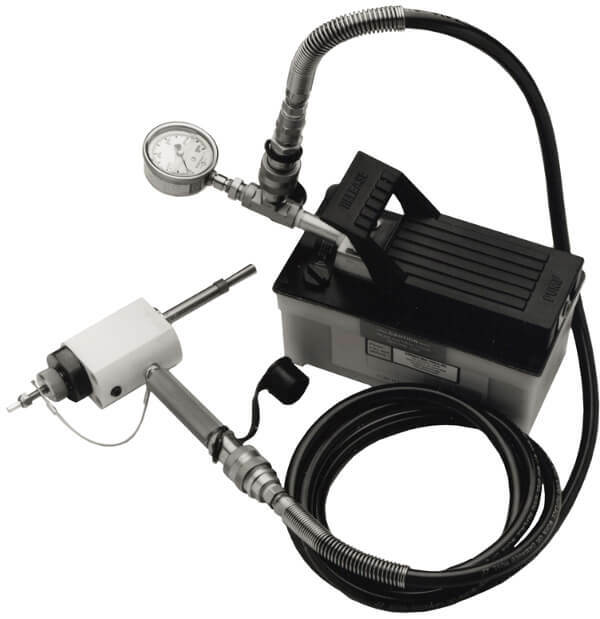 EST Group Pop-A-Plug ram package installs plugs for tube ID's from 0.420" to 1.460" for up to 7000 psi and 1000 psi @ 700F. Plug material includes carbon steel and stainless steel. Pickford offers heat exchanger plug installation equipment for rent, to all of Western Canada including Manitoba, Saskatchewan, Alberta, and British Columbia from our 40,000 sq.ft. Edmonton warehouse.